In this piece, the patterns created by the rippling water take on an abstract quality when frozen in time. 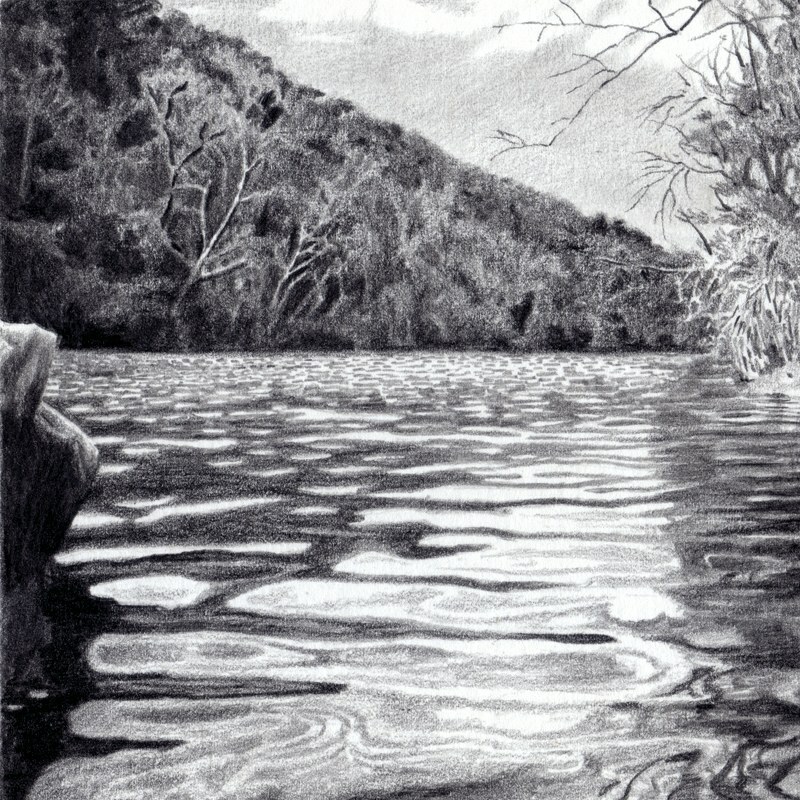 The low angle in this drawing allows the viewer to almost submerge as they look out on this meditative scene. This image is rendered in graphite on heavy-weight vellum paper. It is 4 inches square and is situated on a 5x7 piece of paper leaving a white border with a weighted bottom. 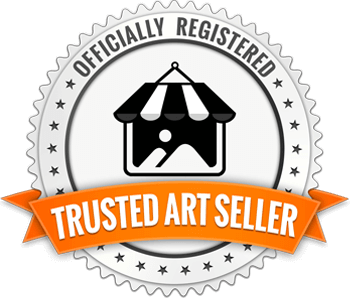 It can be framed as is or matted and framed to give it a larger presence. Drawing water is an interesting reminder of the abstraction hiding everywhere in the representational. A natural dam is formed by a large outcropping of rock, allowing you to get crouch below the waterline while staying dry. At this low level the ripples on the surface being kicked up by the breeze create amazing abstractions from recognizable forms that average out into vague generalizations as they stretch back into the distance. Drawing water is an interesting reminder of the abstraction hiding everywhere in the representational.